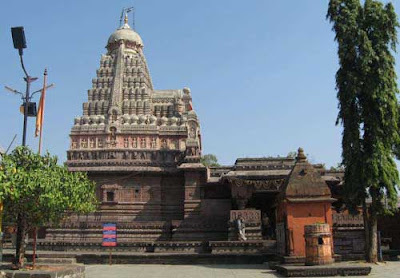 Grishneshwar Temple, sometimes referred to as the Ghrneshwar Jyotirlinga or Dhushmeshwar temple, is one of the 12 Jyotirlinga temples of Shiva. Grishneshwar Temple timing is given in detail below. The opening and closing time and darshan hours are extended during the Shravan month. The temple is open throughout the night on Mahashivratri. The temple is open in the afternoon from 12:00 PM to 3:00 PM. There is no closing of the shrine after it opens in the morning. The shrine only closes if there is an eclipse (Grahan) – Lunar or solar eclipse. Shravan Month in Maharashtra (last week of July to first week of September). Men entering the inner sanctum of the temple have to remove the upper garments. The temple is around 102 km from Shirdi. The temple is around 254 km from Pune. Grishneshwar Temple is around 136 km from Ahmednagar. The shrine is around 32 km from Aurangabad. Ellora Caves are around 1 km from the shrine. Nearest airport and railway station is at Aurangabad.